Gion Tsujiri is a chain of tea shops in Japan that started in Kyoto. 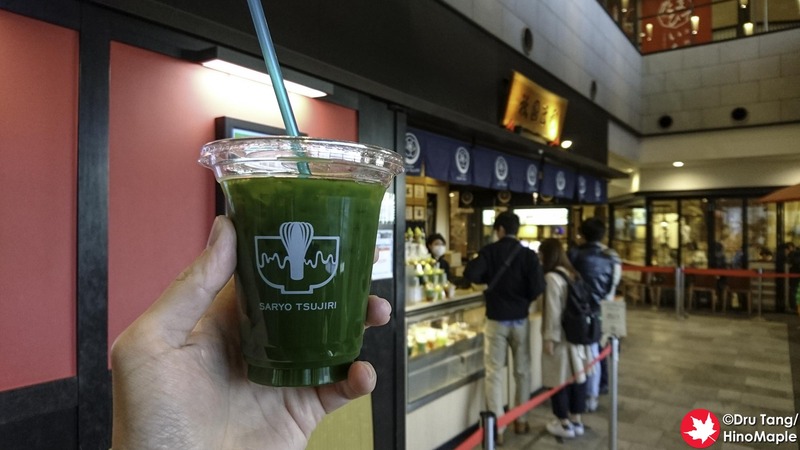 They specialize in green tea and matcha drinks and the Tokyo Sky Tree shop has a wide variety of matcha drinks. They have everything from green tea lattes to straight green tea as well as green tea ice cream on top of the drinks. It is a really popular place in Tokyo Sky Tree and you can almost always expect a line-up when you are there. I was never really interested in visiting Gion Tsujiri because it felt like a tourist trap. It isn’t bad but as a chain the quality of the drinks can vary depending on the day. I would be happier to go to their main shop in Kyoto but that won’t be happening for a while. I was there when it wasn’t too busy but I have seen long lines before. They tend to prepare the drinks as best as they can to make it easier to serve but it may not be as fresh or the way you like it. I ordered the simple iced matcha green tea and it was really nice. It was a bit sweet and I prefer my green tea to be plain and unsweetened since I moved to Japan. It was still delicious and you can still taste the quality of the green tea used. Gion Tsujiri is a really nice place and I’d be happy to take friends to get some green tea or matcha drinks from them. I honestly won’t be going there again of my own free will because I’m not a big green tea drinker. While I’m not the target for this company, they are a very good company and I really think you should try it if you like green tea. 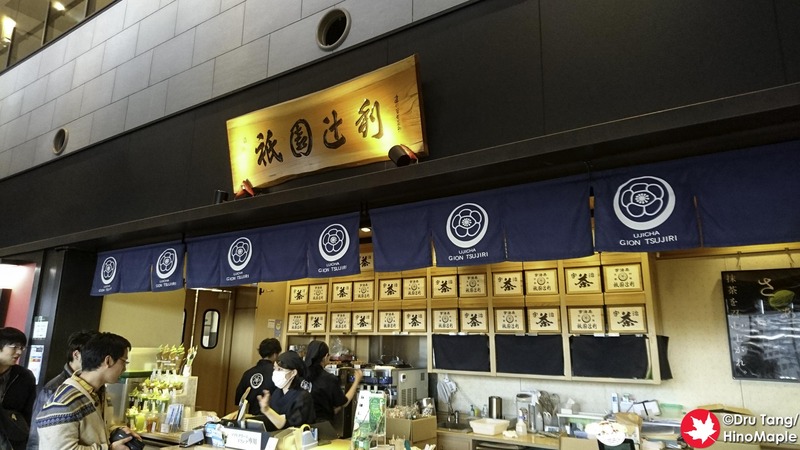 This entry was posted in Tokyo Food and tagged Gion Tsujiri, japan, matcha, Oshiage, Tokyo Sky Tree, Tokyo Skytree by Dru. Bookmark the permalink.